What Is the Minimum Credit Score for FHA Mortgage Loans in 2019? One of the most common questions we hear all the time is: What are the FHA credit score requirements? What credit score for FHA mortgage programs is required to be approved this year? People want to know what credit score is needed to qualify for a FHA loan in 2019. I am frequently emailed questions like, “Can I get a FHA loan with a 580 credit score?” or “Can I buy a home with a FHA loan if my credit score is under 600?” or “How much of a down-payment would I need to bring in to qualify for a FHA mortgage with a 500 credit score?” Let’s address these common questions now. Presently, we live in a credit-driven country and home financing, pre-approvals and mortgage qualification letters all involve credit scores published by Trans Union, Experian and Equifax. I will do my best to address the minimum credit score for home loans insured by FHA in this article. Do Mortgage Lenders Still Approve FHA Loans with 500 Credit Scores? For years there was “No minimum credit score for FHA loans.” A few years back, HUD made some guideline changes and instituted a 500 minimum credit score for FHA loan programs. So, yes, qualified applicants can still get FHA loans with bad credit. Keep in mind that most lenders, brokers or banks will implement their own FHA minimum credit score requirements and in most cases its higher than 500. You see, the Federal Housing Administration allows HUD approved lending companies to add layers in the underwriting criteria to the baseline FHA home loan requirements. Of course, in most instances, if you are looking for a FHA loan for poor credit, you will need to present the underwriter some compensating factors, so they feel comfortable approving a mortgage with credit in the 500 to 580 fico range. Anyone who wants to buy a home and has credit challenges will likely be considering a loan that is guaranteed by the Federal Housing Administration or FHA. If you are considering purchasing a house this year, it is important to know what the minimum credit score for FHA financing is so you can plan and save accordingly. FHA remains the most popular choice for home buyers seeking loans for credit scores under 600. The reality is that minimum credit score for FHA loan programs will vary depending upon which HUD-approved mortgage lender you are speaking with. You see even though FHA only requires a 500 minimum credit score, many lenders will create their own minimum credit score for FHA loans because they do not wish to take on a risk that big. These FHA-first time home loans are quite easy to qualify for and open the possibility of home ownership for millions of people who otherwise would have trouble qualifying for a loan. Where Can I Find a FHA Loan with a Credit Score Below 600? Even though most approved FHA sources typically cap loans for credit under 600, at 580, there are still HUD-approved lenders and brokers offering FHA loans down to 500. As of today, you need to have a credit score of at least 500 to get a home loan from FHA. If you want to make the minimum down payment of only 3.5%, you will need a credit score of 580 or higher. However, poor credit borrowers should realize that many FHA approved lenders will require you to have credit scores of 620 to 640 to get an FHA mortgage. Individual lenders have the flexibility to have stricter lending criteria which is frequently higher than the minimum credit score for FHA mortgage loans. Some experts think that FHA may ease lending standards more in 2018 and this could allow hundreds of thousands more families to buy a home. 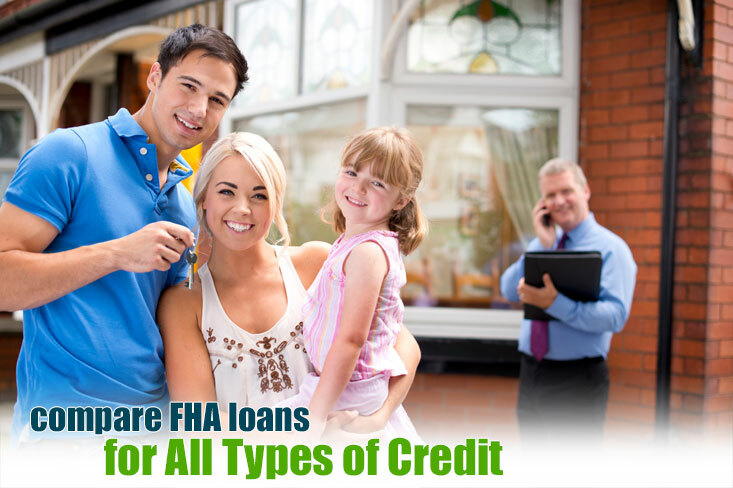 Qualifying for a FHA loan with fair credit below the 600 fico range remains a very strong niche for government approved lending companies, as there is a huge pool of these types of borrowers seeking affordable financing. What is the Average Credit Score for a FHA Mortgage Loan This Year? We get inquiries all the time asking about what the average FHA credit score is so let’s consider the available statistics. The average credit score for FHA loan used for the purposes of refinance a mortgage is 654. Whereas, the average credit score for FHA mortgage used for the purposes of home buying is 686. 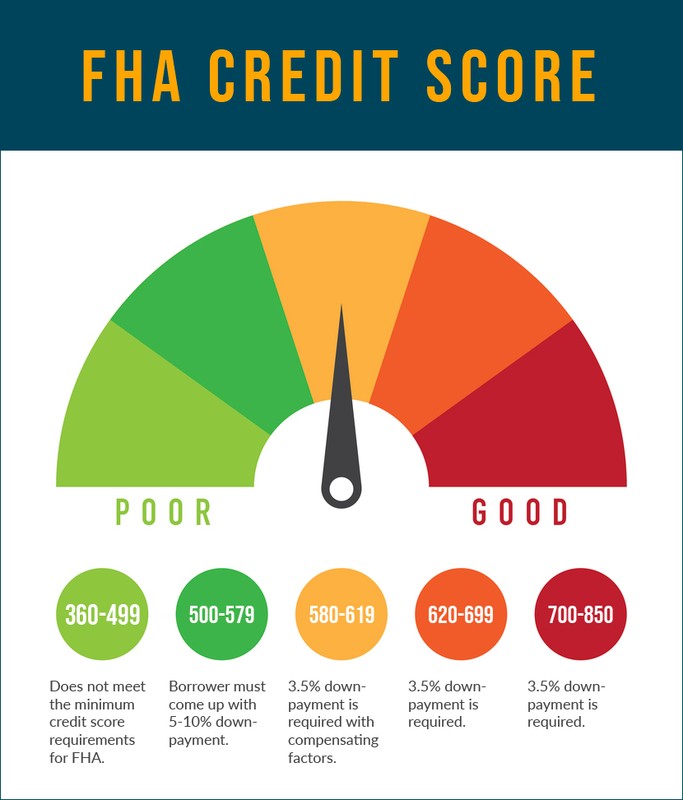 This doesn’t mean that HUD and FHA won’t approve the application for a person with a lower credit score, but it does give you some data with respect to the average credit scores approved on FHA loans. For the most part, it is more likely to qualify for with a 600 credit score or higher, when considering a loan program that is insured by the Federal Housing Administration. As mentioned, the FHA credit rules are more lenient for applicants with below-average credit. You can tell as noted that the average FHA credit score for home buyers being at 686 boasts well for the strength of the FHA mortgage product as borrowers with higher fico scores see the value in FHA financing. The competitive interest rates, reasonable lending costs and minimal down-payment requirements make the FHA loan very appealing to first time home buyers with all types of credit. FHA loans are among the easiest mortgage loans to get in 2019. A few years ago, the minimum score to get an FHA loan fell to 500. While it is not easy to be approved with a score this low, it is possible. To get a 3.5% down payment loan, you are required to have a 580-credit score. However, the average credit scores for FHA borrowers is much higher. 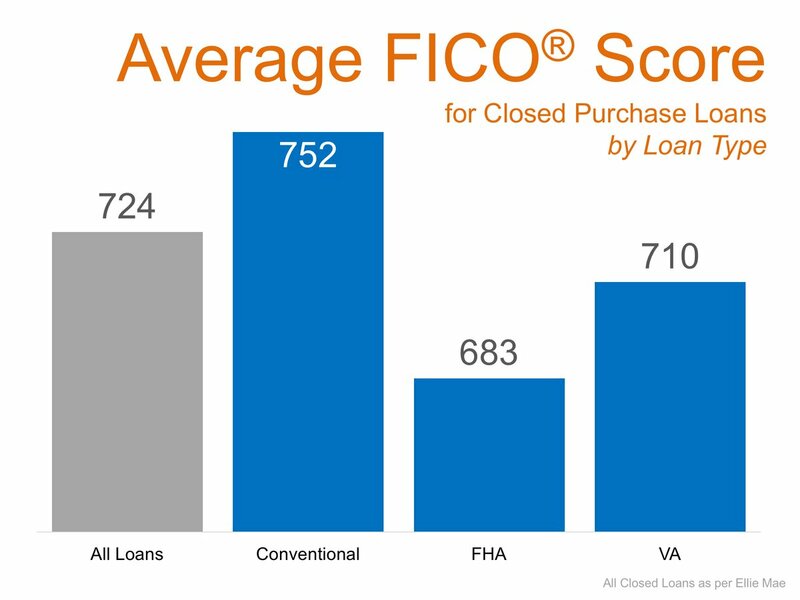 For new purchase, recent data shows the average FICO score was 683, and for refinance, it was 646. Ellie Mae has found that 80% of FHA borrowers have a credit score of 600 or more, and 13% have a score between 550 and 599. The overall average FHA credit scores enough that some borrowers may have been approved for conventional loans, but they may have been attracted to FHA loans because of the low interest rates or down payments. It is possible to get a loan approved through FHA with a lower score. Surveys show that 96% of FHA approved lenders will approve loans for people with a 580-credit score. The down payment of 3.5% is among the most lenient, as well. While you can get an FHA loan with a lower credit score, this is not a subprime loan program. FHA lenders will approve certain borrowers with lower credit scores if they had past credit problems but have stabilized recently. FHA mortgage lenders will not simply approve someone with a poor credit score who continues to have current credit problems. According to FHA guidelines, borrowers who are making current and recent payments on their obligations on time are a lower risk, even if they have a lower credit score. On the other hand, if the credit history shows slow payments and late accounts, the loan may not be approved, even if you have a good enough income. Mortgage data analysts have said that just 2% of FHA loans went to people in recent years with credit under 550. Can I get a FHA Loan with No Credit? While you do need to have a minimum credit score in most cases to get an FHA loan, there are possibilities for people with no credit at all. Lenders are not allowed under FHA rules to automatically deny you with no credit. Instead, it is recommended to get accounts like credit, such as cell phone bills, utilities and insurance payments, to help you qualify for a loan. Some FHA approved lenders can approve your loan with nontraditional credit such as this. Can I Still Get Approved for a FHA Loan After Major Credit Problem? A lot of people after the last mortgage fueled fiscal crisis had their credit rating tank. This may make you think that you cannot get a mortgage loan with a bankruptcy or foreclosure. This is not true. For an FHA loan, it should be two years after the Chapter 7 to get a loan approved, and three years after a foreclosure. But these waiting periods may be adjusted if there were events beyond your control that led to the problems. Remember, you can get still approved for an FHA loan with a lower credit score, IF you have shown enough income and financial stability in the recent past to support the payments. How Was the FHA Credit Policy Updated? FHA recently added another type of evaluation of potential lenders. The current policy has been to compare an approved FHA mortgage company with another FHA lender in the same part of the country. This is called the FHA compare ratio. If the lender had 150% more loans that paid late than other lenders in the region, it could get removed from the FHA approved lender list. Many lenders had a problem with this standard. If some lenders in the area have higher FHA credit standards than theirs and a lower default rate, other lenders in the area would look worse. This led to lenders increasing their minimum score required as high or higher as other lenders in the area. So the credit standards continued to creep up, which goes against the purpose of the entire FHA-mortgage program. Under this system, an FHA lender could be kicked off the FHA program if the lender across town raised its credit score minimum to 680 from 640. Now, there is another layer of evaluation by FHA. The Federal Housing Administration will look separately at loans that are paid late based upon credit scores of under 640; between 640-680 and more than 680. This should help borrowers with lower credit scores to qualify for loans. The lender will no longer risk losing its FHA approved status if its lower credit score loans perform in similar fashion to other loans in the same score bracket. Also, the comparison is going to be made around the country and not just in a single geographic area. Under the new rules FHA will compare a lender’s higher default rate with lower credit score loans to the national average for all loans under 640. This makes it more likely that the lender will be able to continue to do business with lower credit score borrowers. Keep in mind that it may take time for the new FHA minimum credit score policy to be rolled out. Lenders often wait for other lenders to implement the new guidelines to see how things shake out. If you are a lower credit score borrower, you could be talking to some lenders who have adopted the new standard while others have not. So. It will pay to shop around and get quotes from several lenders that offer home loans for credit under 600, 580, 550, etc. Conventional loans that are offered by Fannie Mae and Freddie Mac are good products but they are fairly strict on lending criteria. If you have credit under 700, you may have difficulty getting a loan approved. The FHA credit score requirement is almost always easier to meet than Fannie or Freddie lending guidelines. The FHA minimum credit score has always been lower and in 2018 we continue to see that FHA mortgages are easier to qualify for in most instances. The Department of Housing and Urban Development has maintained FHA loans for low credit as a priority over the last few decades. Without FHA, many more American families would have to pay rent for many years more. However, there are still ways that FHA can expand home ownership to more Americans. The Department of Housing and Urban Development has made strong efforts to preserve FHA minimum credit score requirements to stimulate the housing sector in the U.S.
Another very helpful part of the FHA program today is that it recently increased the maximum loan amount that FHA will insure to $424,100. So even if you are buying a quite expensive home, you may be able to get an FHA mortgage. If the home is in an expensive area such as California, the maximum FHA loan limit is $625,000. So with even expensive homes in expensive areas of the US, FHA financing is still a good possibility. Anyone with poor to average credit who wants to buy a home should talk to several FHA mortgage lenders right away. If you have a credit score at least in the low 600’s, you should be able to find many FHA approved lenders and subprime mortgage brokers who may be able to assist you in getting you approved for a mortgage. It will always benefit you to talk to a lot of lenders because some lenders may be able to offer you a lower rate on a certain loan product. 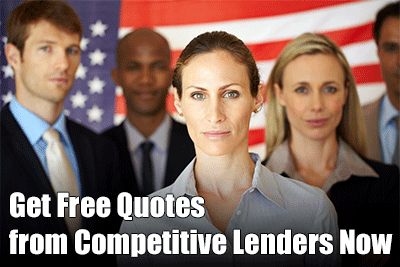 FHA approved lenders have considerable leeway in their lending criteria. Even if you need a loan and have a credit score under 600, do not lose hope. There are still some FHA mortgage companies out there who may approve your loan. Under the new lending criteria mentioned above, there will probably be even more approved FHA brokers in 2018 and beyond that will work with poor credit borrowers. For people interested in an alternative to FHA, check out our credit guide for all types of home loans. Learn more about how FHA insures flexible credit standards with minimum credit scores as low as 500. There are many potential home owners in America who still are suffering from low credit scores left over from the mortgage meltdown a few years back. For far too many Americans, job loss, foreclosures and bankruptcy really hurt their credit scores. Even nearly 10 years after the meltdown, there are still millions of people renting a place to live. Home ownership is still near record lows for the last 50 years. But despite what you think, you may still be able to get a home loan with bad credit. That is right. 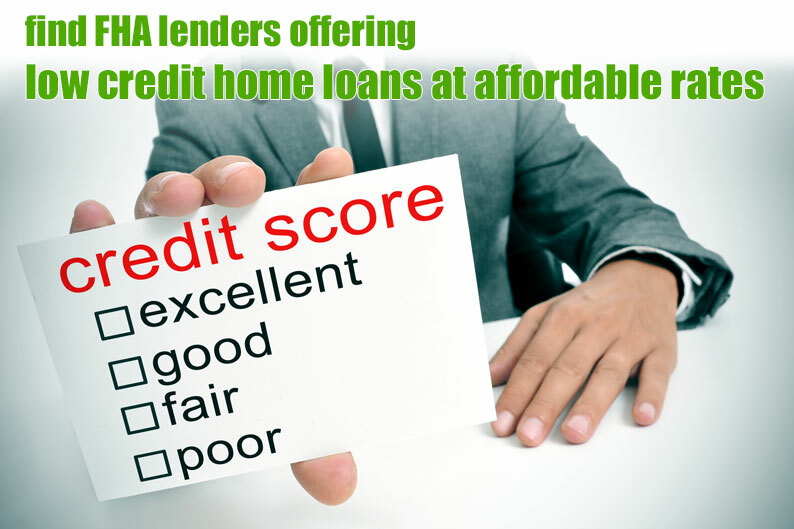 You may be able to get approved for a home loan with bad credit with good terms and affordable interest rates. Why Do FHA Loans Work for People with Bad Credit? FHA mortgage loans were first offered in the Great Depression. Since then, FHA has helped 40 million families to buy a home. It is so popular because it has very flexible loan criteria. This program was built from the start during the Depression to get home people into their own homes. The federal government sees it as desirable for Americans to own their home rather than rent, if they can afford the mortgage payment. In many circles across the country, people consider FHA the best path to get a mortgage loan with bad-credit qualified.